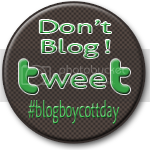 I've said it once and I'll say it again...Thank Gawd today is #BlogBoycottDay because, you guys, my brain hurts this week. (more so than usual). After being super inspired by the #summerblogsocial, I decided to get up off my arse and finally start to make the move to Wordpress. Since my husband worked mostly nights last week, I had hours to work on things after Jack went to bed. So I armed myself with a handy e-book outlining the move and got to work. A few minutes in, I realized I wasn't in Kansas anymore. And now I feel stuck. The thing I didn't realize was that while the e-book is awesome in terms of the actual transfer, it doesn't really outline the design element of the new blog. I know it will come to me and that I just need to be patient, but if you know me at all then you know patience is not my strong suit. Or really my suit at all if we are being honest. And my creative brain and logical brain are not playing nice together. Of course, I would love to pay a wonderful designer to set it all up for me, and while I am considering it more and more each day, I worry about the funds available for such an undertaking. I feel guilty sinking the money into it because I know in a few months I won't be working at all and we need to save up to get us through my "maternity leave". I will send you a picture of what I want my blog to look like and you help me make it happen. *Free ad space on my blog for 2 years.